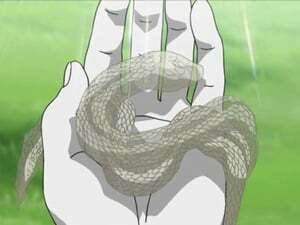 Orochimaru's body has reached its limit and the time for the ritual has come. Sasuke has other plans, however, and seeks to target a bedridden Orochimaru. Orochimaru reveals the true, hideous form his body has taken from years of experimenting on his body. Can Sasuke defeat this menacing form, or does Orochimaru still have a few tricks up his sleeves? After Sasuke reverses Orochimaru's body-switch with his Sharingan, he releases one of Orochimaru's test subjects, Suigetsu. 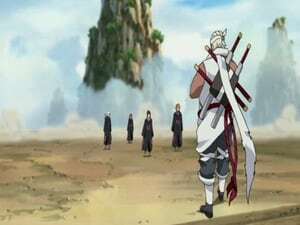 Determined to put together a team to achieve his goals, he decides to request Suigetsu's assistance. Suigetsu agrees, but only if he's willing make a detour to the Land of Waves first. Having successfully recruited Karin, Sasuke seeks out the final member for his platoon, Jugo. 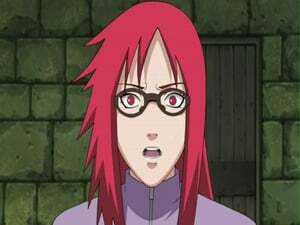 Karin warns Sasuke and Suigetsu of Jugo's uncontrollable murderous instincts, but as they arrive at the northern hideout, they find another matter they must attend to first. Elsewhere, shocking news reaches the ninja of Konoha. After successfully convincing Jugo to join his team, Sasuke finally has everyone he needs for his platoon. He names his platoon Team Hebi, and explains the true reason as to why he gathered them all together. Back in Konoha, Naruto takes a guess on what Sasuke is planning and proposes a new plan to everyone: they must find and capture Itachi Uchiha. 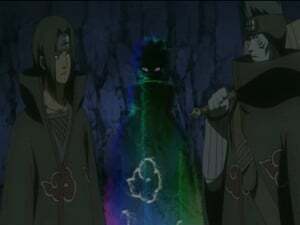 As Akatsuki seals yet another tailed beast, Itachi and Kisame are warned that Sasuke and his group are after them. Both Konoha and Team Hebi prepare to move out for their quests to find Itachi, but Sasuke makes a little trip to an old Uchiha storage house first. 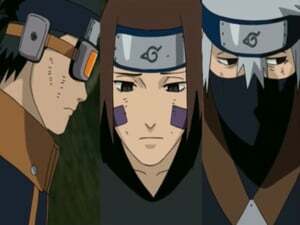 Kakashi splits the two teams into five separate groups, each aided by a couple of his ninja dogs, in order to locate clues about Itachi and Sasuke's whereabouts. Unbeknownst to everyone, familiar foes have set their eyes upon both Naruto's group and Sasuke. Upon encountering one another, Sasuke and Deidara engage in battle. After exchanging a few blows to test Sasuke’s strength, Deidara conjures up his specialty clay dragon and wages long-range attacks against Sasuke from high above. With Tobi’s backup support, the battle seems to be going to Deidara. Sasuke's Sharingan proves to be superior against Deidara's explosives. Deidara creates one of his finest works, the C4 Karura, in order to take him down. What will Sasuke do now? By using himself as an explosive, Deidara creates an explosion ten kilometers in diameter, something not even Sasuke will be able to escape from. Is this the end of Sasuke? 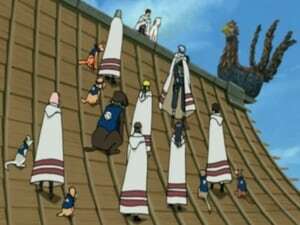 Elsewhere, someone approaches the Akatsuki leader and gives him orders to catch Naruto himself. Who is this true mastermind of the Akatsuki plot lurking in the shadows? As Sasuke rests from his battle with Deidara, the Leaf ninja pick up on his trail. 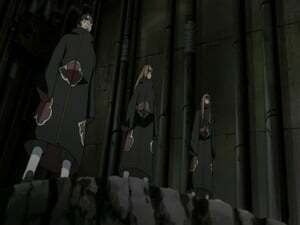 Noticing that they're being followed, Karin tries to send them in the wrong direction while the members of Team Hebi head to the nearest Akatsuki hideout in hopes of finding Itachi. What will happen when Naruto and Sasuke have separate encounters with Itachi? 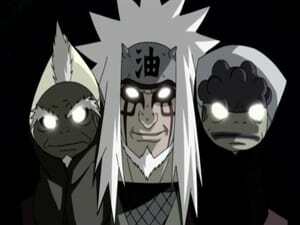 Having become genin, Jiraiya, Tsunade, and Orochimaru are assigned to the future Third Hokage's platoon. Watching Sarutobi's space/time ninjutsu, Jiraiya becomes absorbed into learning it. One day, Jiraiya loses his way and stumbles upon Myouboku Mountain. There he meets the Great Toad Sage who predicted his arrival. See the origins of the Toad Sage Jiraiya! In the Rain Country, Jiraiya decides to take care of three young orphans for a while. 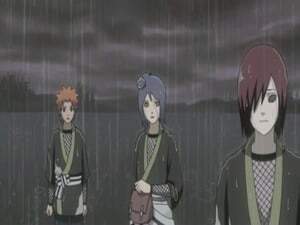 Yahiko, a spunky young boy, wants Jiraiya to train him, Konan, and Nagato to be shinobi, but it's not until he sees a strange phenomenon in Nagato that he decides to do so. What is the secret behind Nagato's Rinnengan eyes? What will become of these three children? 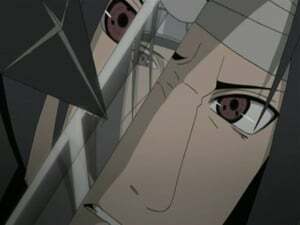 While the members of Team Hebi head towards Itachi's location, Jiraiya infiltrates the Hidden Rain Village in hopes of gathering information on the Akatsuki leader. 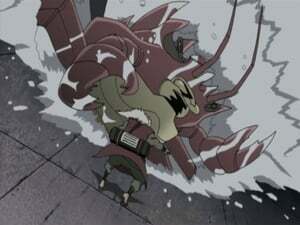 Jiraiya captures two Rain ninja and interrogates them about Pain, but what he learns shocks even him. 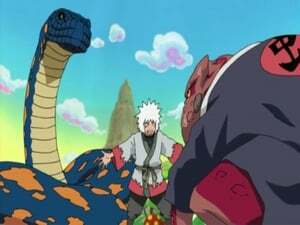 Having suspicions about the Nine-Tails' attack on the Hidden Leaf Village years ago, Jiraiya tells one of his frogs that the time may come when Naruto will need to access the fox's full power. 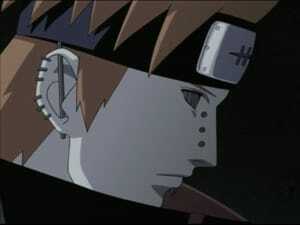 His interrogations finished, Jiraiya sets out in search for Pain, but winds up encountering Konan instead. 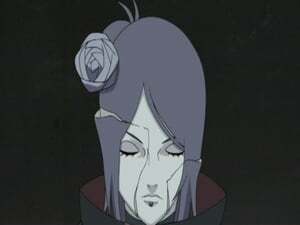 Is there a connection between Jiraiya, Konan, and the mysterious Pain? 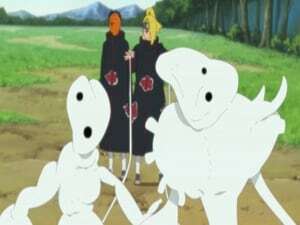 Elsewhere, one of Naruto's shadow clones runs into Team Hebi. Having no other choice against Pain's powerful and strange summonings, Jiraiya undergoes a powerful transformation to go up against Pain with the help of the Toad Sages. Will this Sage Mode be enough for Jiraiya to take on not only the Pain he's been fighting, but two more as well? 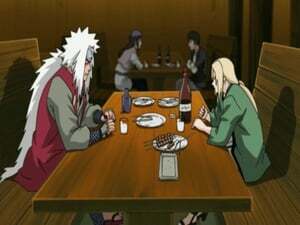 Jiraiya is now confronted by two new Pains who both possess different abilities than the one he was fighting. Just who is Pain and how many Pains are there? 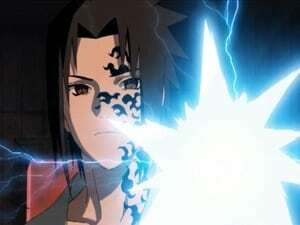 Sasuke's long awaited battle with Itachi begins with the Uchiha brothers throwing genjutsu after genjutsu at each other. Sasuke seems to have Itachi cornered and asks him a few questions of the Uchiha massacre. Is Itachi not the only one involved in the Uchiha massacre? And does Sasuke still not possess enough hatred to defeat Itachi? 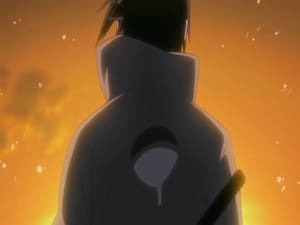 Itachi reveals to Sasuke that Madara is the second culprit behind the Uchiha massacre, as well as the history of the Mangekyo Sharingan and the first two Uchiha to obtain it: Madara and his brother. 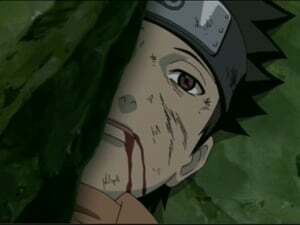 One question still remains: Why did Itachi really spare Sasuke's life? 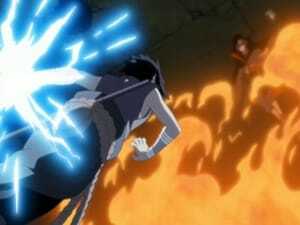 After successfully breaking out of Itachi's Tsukiyomi, Sasuke gains the upper hand on his weakened brother. 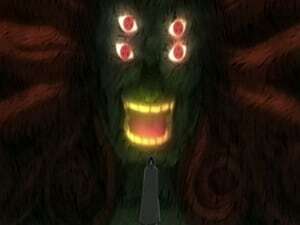 With no other alternative, Itachi activates his second Mangekyo ability, Amaterasu, a black flame said to burn forever. 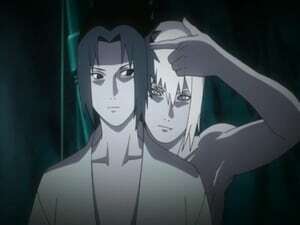 Sasuke thinks that he's finally killed Itachi with the help of his most powerful technique, Kirin, but Itachi still has one final trick up his sleeve. 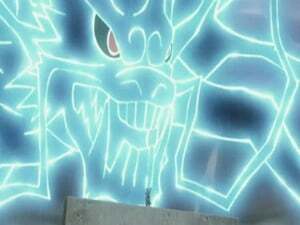 Having used both Tsukiyomi and Amaterasu, Itachi calls upon the power of his third and final Mangekyo ability, Susano'o. Itachi has turned the tide of the battle against Sasuke, but the latter receives aid from an unexpected source. The battle between the Uchiha brothers is nearing its shocking conclusion! 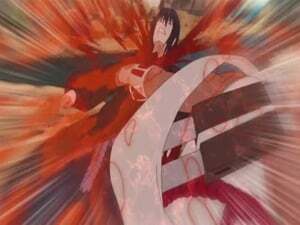 As Sasuke has finally fulfilled his goal in killing Itachi and avenging his clan, he collapses from exhaustion. 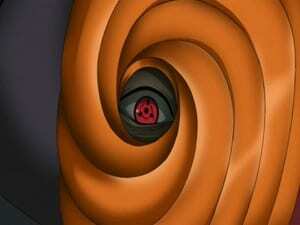 The news of his victory reaches the Leaf ninja and Tobi, who both race towards Sasuke's location. 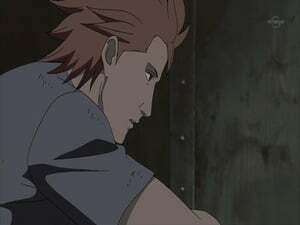 What does Tobi plan to do with him and who will reach Sasuke first? Seeking to gain Sasuke's trust, Madara reveals to him the origins of Konoha. 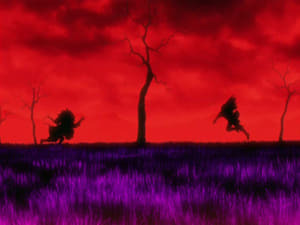 Madara and the future First Hokage founded the village long ago, but a rivalry between them would one day stem a chain of events leading to THAT night, the night that Itachi Uchiha annihilated the Uchiha Clan. After Madara finishes telling Sasuke about his past, he reveals the unfathomable truth about Itachi's massacre of the Uchiha Clan. What really happened on that night? Why did Itachi join Akatsuki? And for what reason did he really spare Sasuke's life? Sasuke fights Killer Bee and is injured by his swords. Karin heals him, and Sasuke, Suigetsu, and Jugo then begin a combined assault on Bee until he decides to use the Eight-Tails' power. Sasuke is injured and revived again by Jugo, who regresses in age as a result. All healed, Sasuke unleashes Amaterasu on Bee, finally able to subdue him. Meanwhile, two Cloud ninja watch the fight from a cliff, and they notice the Uchiha crest on Sasuke. They rush the news to Bee's big brother, the Raikage.